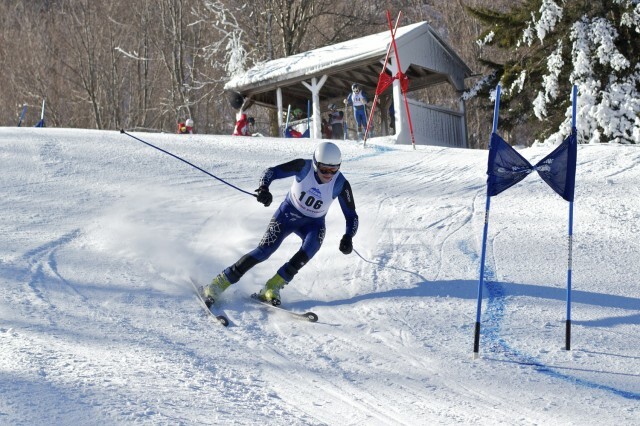 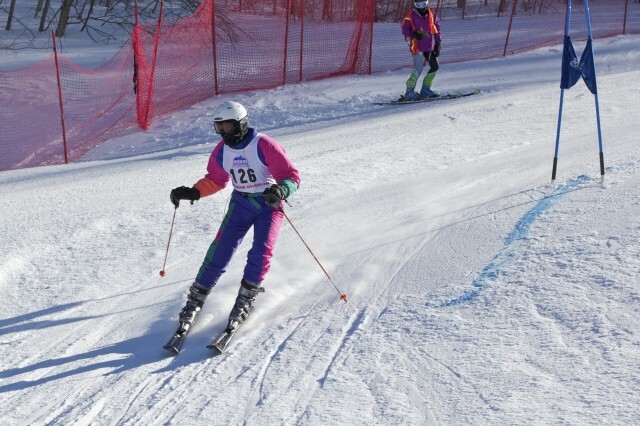 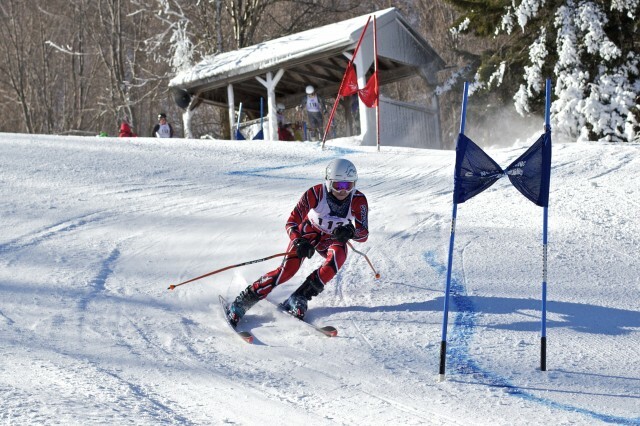 Chris Delaney ’14 rounds the third gate of the Giant Slalom race at the Middlebury College Snow Bowl. 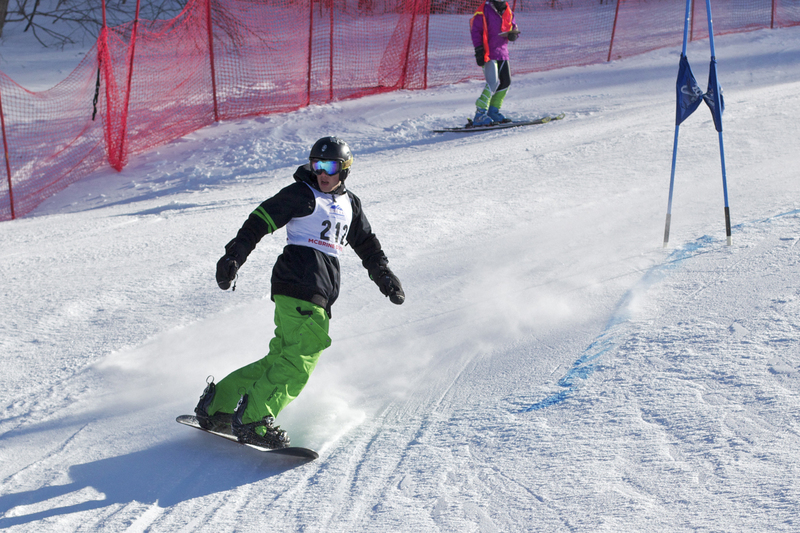 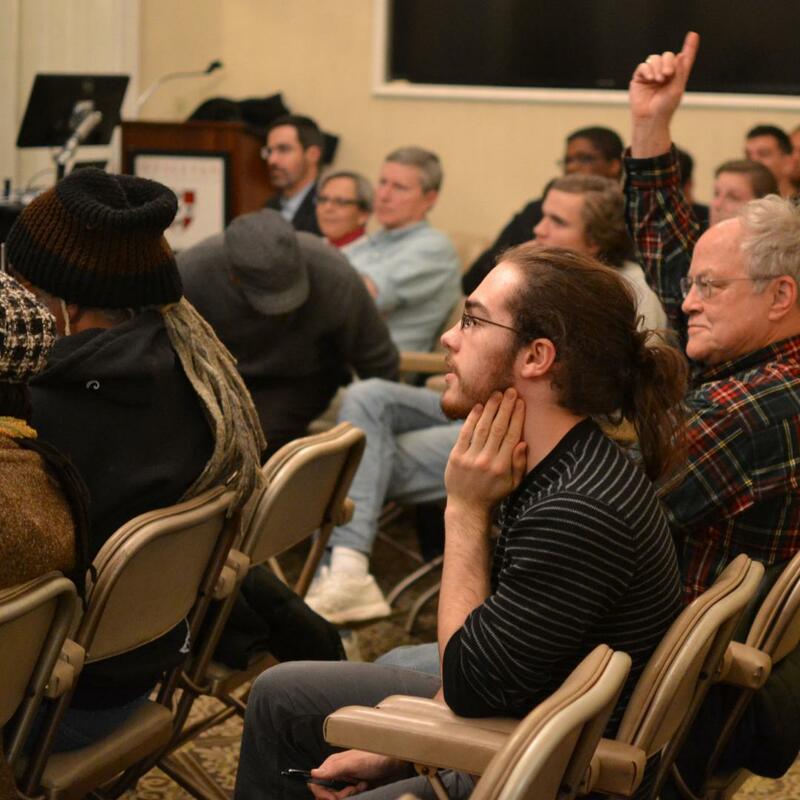 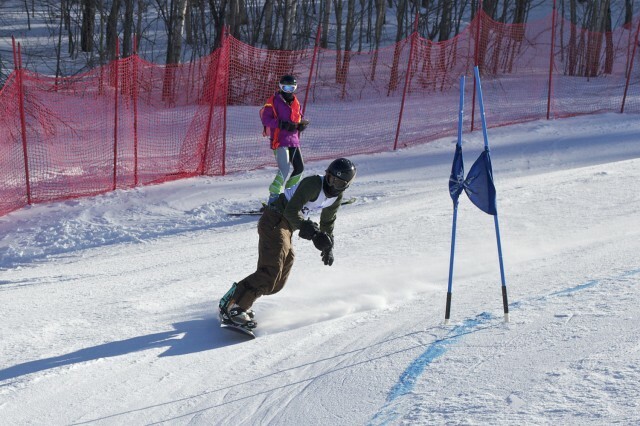 Zachary Kaufman ’16 competes in the in the McBrine men’s snowboard division. Dylan Penn ’15 leans into the turn of a snowboard giant slalom race at the Middlebury College Snow Bowl.